Our custom made gas plug has a tuned port which increases the starting volume of the gas cylinder causing the peak gas pressures in the gas cylinder to drop by over 30%. Our custom gas plug has been designed to help you safely shoot commercial ammunition hassle free in your M1 Garand. Our gas plug has a tuned port that delays the operating rod for several microseconds and lowers the peak gas cylinder pressure by over 30%! Unlike a vented gas plug, ours requires no adjustments and is ready to use right away. The gas plug can be installed using a standard 1/4 socket driver! Our ported gas plug does NOT vent gas like a vented gas plug. The secret is the hollowed out area in the base of the plug which increases the initial volume of the gas cylinder. By increasing the volume, the peak pressures are reduced without the need to vent the gas. Customer QuestionsQ: Will the ported gas plug work with normal M2 Ball Ammunition? A: Absolutely! The ported gas plug will work with all M2 ball ammunition types made. Q: Will the gas plug work with low pressure loads? A: This is a harder question to answer without knowing the load being used. 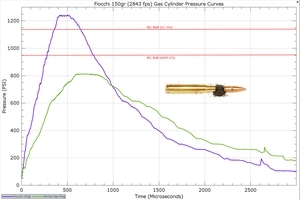 If there is enough gas pressure to cycle the rifle with a normal gas plug, then the ported plug should operate correctly. If the load being tested is marginal, the ported plug may not cycle the rifle reliably. Q: The product mentions the potential for increased accuracy. Can you explain that? A: Accuracy in it's most basic form is the ability of the rifle to remain unchanged from shot to shot. The M1 has several factors inherent in its design that can cause the rifle to move or shift slightly from shot to shot. Forces acting on the barrel can change between shots. If this occurs then the accuracy potential is degraded. The ported gas plug does two things. The first is to delay motion of the op-rod for a few microseconds. (delays the forces applied to gas piston). This helps keep the system more static until the bullet has left the barrel. The second is to reduce how hard the op-rod is forced rearward. This reduces the natural flexing and bending the operating rod experiences and helps the rifle return to the same state between shots. Recall that accuracy potential is a result of the sum of all the factors acting on the rifle. The gas plug will not make a 5 MOA rifle a 1 MOA rifle. Q: Will the gas plug work with a gas system that is worn out? A: The gas plug is designed to work with an M1 Rifle that has a gas system that is in spec. That is to say, not worn beyond the normal reject levels. 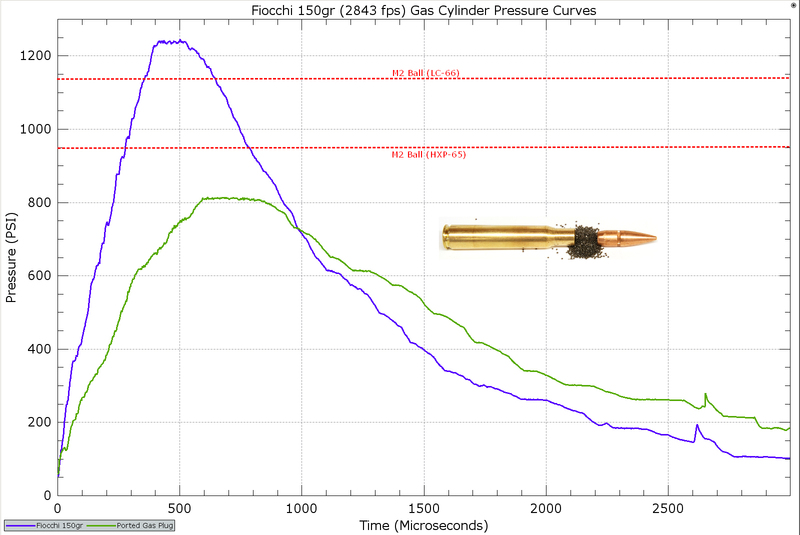 That would be a gas piston with a diameter between 0.5250" and 0.5260" and a gas cylinder that is between 0.5280" and 0.5320". The operating rod spring should also be in spec and not worn excessively and the rifle properly lubricated. Q: Can I use the ported gas plug on a Tanker or a M1 Garand with a short barrel? A: The ported gas plug is designed to work with a standard length M1 Garand Rifle. A Tanker or short barreled M1 moves the gas port closer to the chamber and results in port pressures that are many times higher then a M1 Garand was ever designed to operate with. 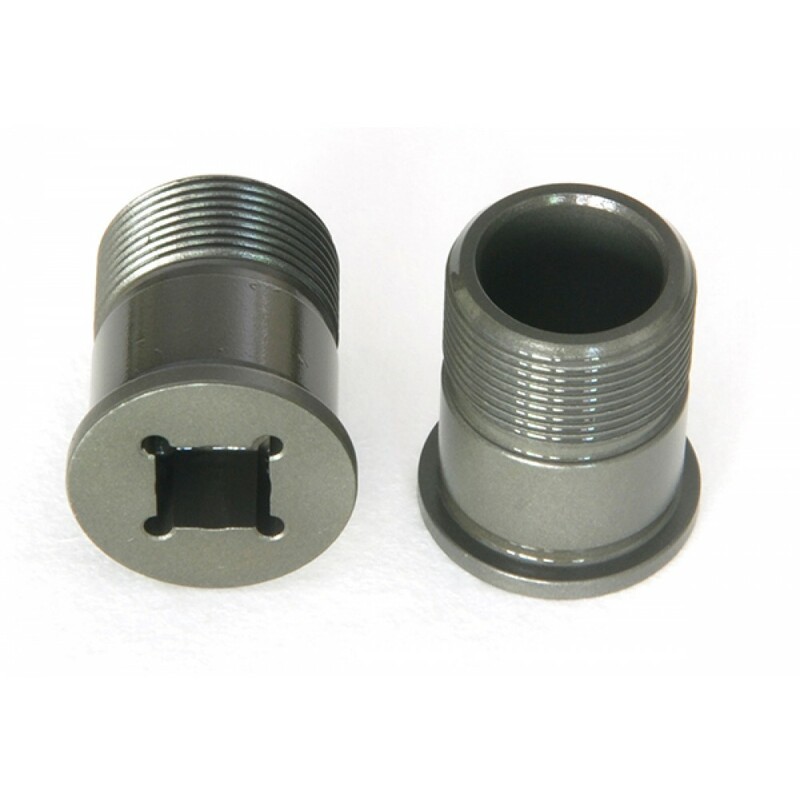 The ported design is not suitable for use in this application. Q: Can I use a bayonet with this gas plug? A: The ported gas plug is NOT designed to accept a bayonet with a lug that inserts into the gas plug. The lugs on the bayonet are larger in diameter then the 1/4" cutout on the gas plug and will not allow the bayonet to be fully seated. Q: What causes an Op-Rod to get bent? A: There are three factors that can result in damage to the Op-Rod. The first is high pressure in the gas cylinder. The second is binding of the Op-Rod, and the third is poor lubrication. If any two of the these three conditions is present then damage is possible. If the op-rod is binding then the operating rod will flex and bend when cycling until the bind is overcome. This causes the operating rod to flex and damage is possible. Our ported gas plug reduces the peak pressures in the gas cylinder, which in turn reduces the peak forces acting on the operating rod. Always check your M1 for binding by performing the [Tilt Test]. Bought two ported gas plugs. One for regular Garand 30-06 and one for my tanker .308. The ported gas plug and it now ejects at About three o'clock. For me, it works in a tanker. After reviewing the excellently presented research offered on this site (I know enough physics to be wary), pontificating and just being skeptical....oh, and reading these reviews...I purchased one. I was motivated by my stash of HV ammo that I had for my 1917 Eddystone, and was repelled at the prices for Garand-specific ammo. After a day at the range shooting a hodgepodge of Remington, Winchester and Fiocchi hunting cartridges (up to 3Kfps MV), I am SO pleased. The casings ejected to my side (two feet) or in front of my station. I also experienced a lesser recoil. I am a skinny kid of 64 years old, so it is good. I shot well for an old guy at 100yds (6" group of three, five inches above the bulls eye). Then I had to go. Da!M women. 1) I had to bump up the charge 0.2 g (of H4895) in my handloads to get the gun to consistently cycle, indicating less pressure on the op rod than with the vintage plug. Now, the bolt cycles back just far enough to consistently catch the next round and ping the clip. Perfect! Felt recoil is more of a push than a pop. 2) Better yet (as I believe someone else has said), before, my brass was beside me, in front of me, and behind me. Now, it is consistently behind me in a 4' radius. This make it much easier to find brass. 3) Gun ('44 SA) was grouping about 2" at 50 yds. Now, I am shooting - no lie - about 3/4" at 50 yds. Why? I think it is because the shot cycle is much more consistent, and I settle back into the next shot more easily.